During Struggling with Peace: Grounding peace work in action and change, audiences will have the rare opportunity to engage with a panel of prominent peace builders and activists from Israel and Palestine, participate in a creative, hands-on workshop led by these renowned facilitators, and immerse themselves in the experience of creating art as a tool for peace building. 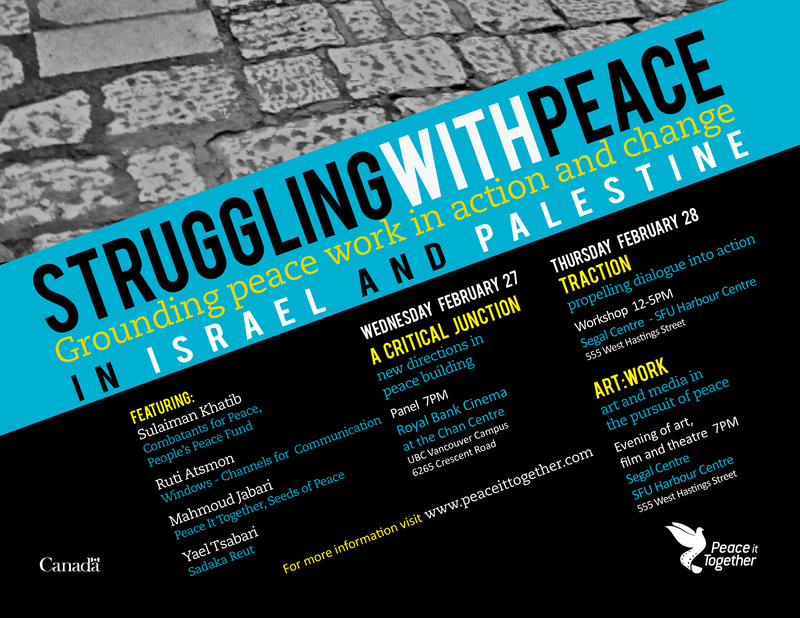 Struggling for Peace will comprise three public events over the course of two days, February 27-28, 2013. All events are free, but registration is required.